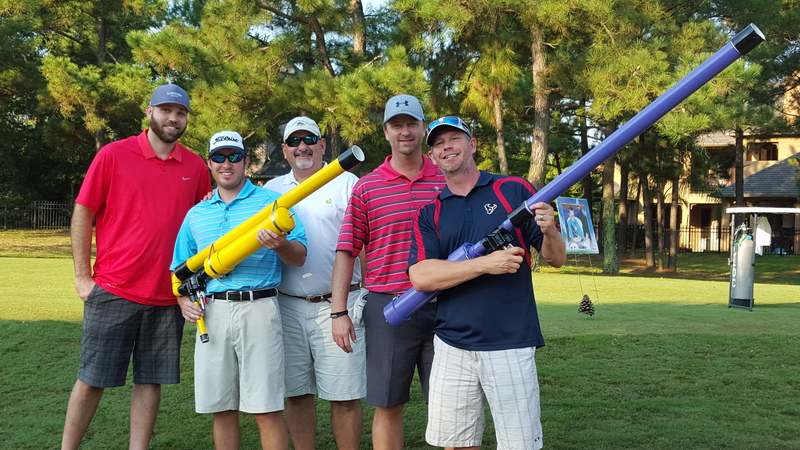 The Golf Bazookas will be back! The Columbus Lions Club will host its annual golf tournament again in 2019. The Bill & Bub Charity Golf Tournament is named in honor of two local golfers and distinguished Columbus Lions Club members, the late Billy Hartley and Ernest “Bub” Baumgart, who have each supported Lions charities and fundraisers like this golf tournament for more than 50 years! Show your support for Columbus and get your business noticed! You can sponor holes on the course for only $50 per hole. Your custom-made sign will be placed at the tee box on every hole you sponsor, and you will be recognized on tournement publications and at the sign-in. This is an inexpensive way to give back to the community while building your brand. You can download the Sponsorship Form, print it, and give it to a local lion. If you prefer, you can click on the link below and sign up for sponsorship online, by credit card. ENTRY FEE: $280.00 PER TEAM Includes Golf Cart, 1 Mulligan per player, Famous Lions Burger, chips, drink, and a Goody Bag. You can download the Team Signup Form, print it, and give it to a local lion. If you prefer, you can click on the link below and sign up your team online, by credit card.